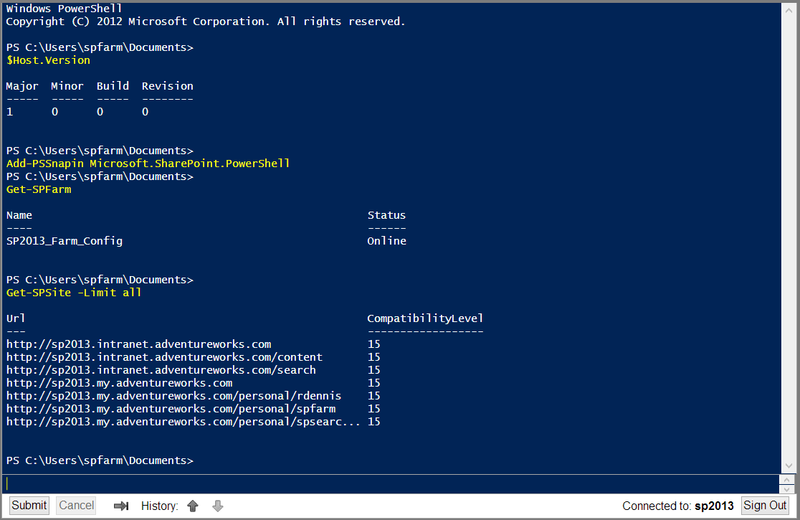 I’ve been using PowerShell for quite a while now, as you may have gathered from some of my previous posts. 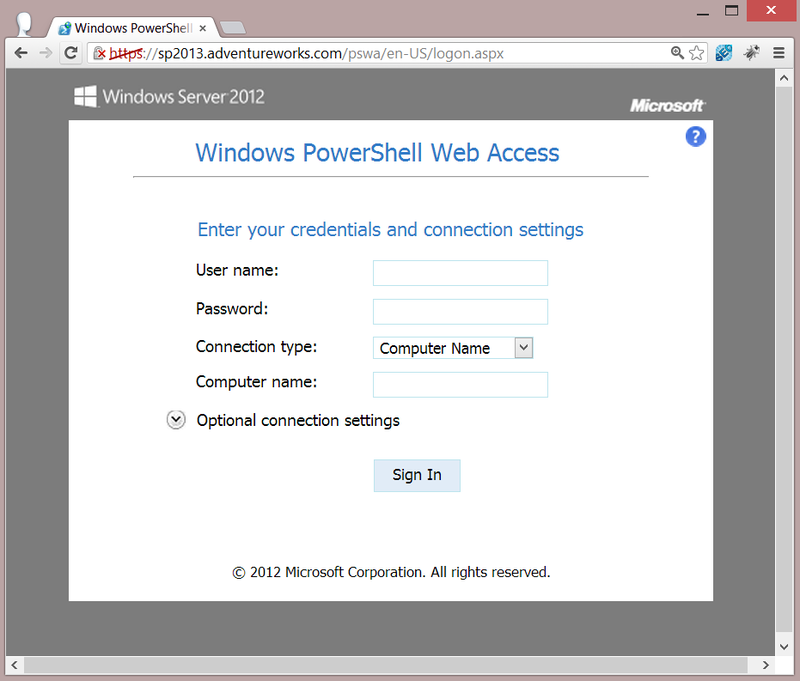 🙂 However, I have yet to really dig into PowerShell Web Access (PSWA) with Windows Server 2012. That is, until today. I have been slowly getting my VM environment up to par on my new Focal Point Solutions laptop, and the last piece that I was hoping to try was PSWA with SP2013. I assumed this would work, but in a few Google searches I had yet to find anyone who had shown any screenshots of this working – so I decided to be that guy. Now for the fun I started typing a few things and as you can see, I’m able to access not only the $Host itself (which interestingly enough is v1, not v3) but by adding the Microsoft.SharePoint.PowerShell snapin I can then run my SharePoint Cmdlets like Get-SPFarm and Get-SPSite. I’m starting to dig deeper into SharePoint 2013 Preview, and one of the first things I wanted to do was poke around the Object Model using PowerShell. In doing so, I thought it would be nice to have a quick and easy PowerShell Function to grab all available app templates. This is actually very simple and is basically identical to the code which would work in SP2010, we simply grab an SPWeb object and then grab the ListTemplates collection. in a specified SharePoint Web. to retrieve a specific template or to select specific fields. This example searches for an App tepmlate with the name "Asset Library." This example retrieves all app templates under the webUrl SPWeb.